In our ever-connected world, communicating and exchanging information seamlessly is the best it’s ever been. By such, standard workplace infrastructure—days spent in closed-quarters with colleagues, in and out of meetings, with restrictive incremental breaks—can begin to seem outdated and ill-suited to the contemporary employee. With the introduction of smart technology and its widespread accessibility throughout the corporate world, on-site work demands are decreasing as companies seek to minimize their workspaces in accordance with fiscal and environmental concerns. This shift in priorities has resulted in the rise of remote working opportunities, with professionals setting up shop in coffee houses, incubation spaces, and their homes to get work done. For the uninitiated, the concept of not devoting forty hours a week to the office—a sanctioned space for productivity and work—may seem unrealistic. But, it’s doable and something worth trying if your company allows for such flexibility. Here are a few helpful tips to get your working in your own space and meeting deadlines and performance goals. Just like you would in the office, you’ll need to complete your work in an efficient timeframe; unlike the office, working remotely means there is no one else around to keep you on task. For those who are less time-management savvy, this may take additional steps to fine-tune. Using planners like the traditional notebook or Google Calendar can provide helpful visualize reminders of upcoming projects and their due dates to ensure that no deadlines are missed. For the exceptionally detailed-oriented, list-making and color-coding systems can provide additional priority support, making which tasks to complete first a no-brainer. The distance between colleagues can upset the balance for team building and effectively halt any attempts at collaboration. However, video chatting services like Zoom help bridge that gap by providing excellent solutions to remote-working problems. With the ability to attend meetings while miles away from one another, Zoom simplifies team communication and allows professional affiliations to form organically. Even when away from coworkers, it’s important to remember that you’re part of a team. Being able to work from anywhere is an obvious advantage for anyone who remains unmoved by the stagnancy of the office environment. Even so, finding the right space for you is imperative to being a successful remote employee. 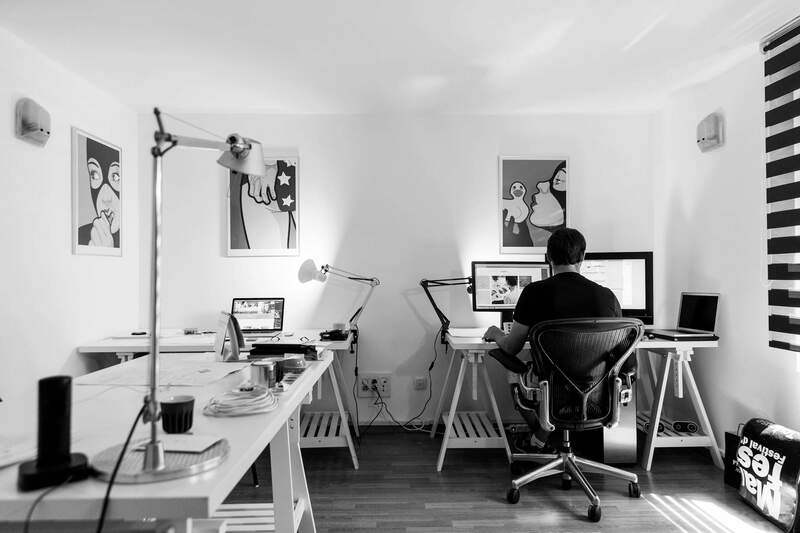 Some people may find working out of their home distracting, whereas others may feel most comfortable in that space; everyone is different, and there is no one way to go about finding that ideal personal office. Check out local coffee houses, bookstores, or even bars to find a spot that works for you. With an open seat, public wifi, and an available outlet, you’ll be all set! For those seeking a non-traditional office space with more lax rules and the ability to come and go as you please, an incubation space can be a great alternative. Check out what’s available in your area and the entry requirements. While a remote employee is not likely to be an hourly worker, keeping track of your hours is still a good idea—and it has nothing to do with your salary. Avoid overcompensating for working from the location of your choice by sticking to a forty-hour work week. Taking and keeping your work at home may encourage you to reconsider your productivity, prompting you to work longer hours to ensure that tasks are completed. This can disrupt the crucial work-life balance every professional need to remain healthy and efficient in their working lives. Avoid burnout and remember to be kind to yourself. A break is never a bad thing.